"Call me a paid agent, sycophant, a hired opinion writer and name them, but I know that I wrote this article using national lenses with my belly badly shrunken. However, be prepared also to come and apologize to me because time and circumstances will prove me right." The recently concluded Revitalised- ARCISS provided for the creation of four Vice Presidents with equal status except the First Vice President (FVP ) in the upcoming Transitional Government of the Republic of South Sudan. 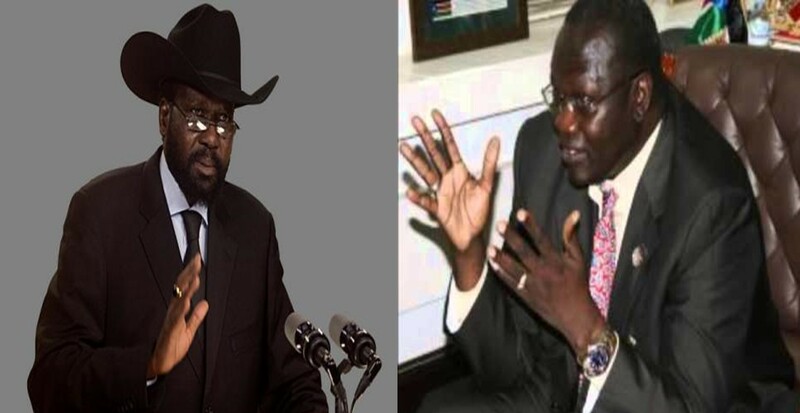 The agreement stipulates it in plain terms that the post of the FVP is for Dr. Riek Machar, the leader of the Sudan People's Liberation Movement/Army in Opposition (SPLM/A-IO). The other VP, who must be a woman, will be nominated by the former detainees (FDs), two Vice Presidents for the Government and the other to be nominated by the South Sudan Opposition Alliance (SSOA). This makes a total of five Vice Presidents knowing well that such a structure is not the first of its kind in the world order and if this arrangement, in the words of President Salva Kiir Mayardit, can stop the war, so much the better. What the author hears on the gravepine, and which we sometimes hear in public rallies from the President himself, is that he wants to continue maintaining his incumbent deputies in their positions against all odds. With all that being said, there are still a lot of incontrovertible views in the division of the positions of the VPs when it comes to geographical considerations. The assertion is that if the female VP to be nominated by the FDs with the FVP and the other VP, who is now none other than the incumbent FVP and who hails from Upper Nile, it means the Upper Nile will have the lion's share in the Presidency as is now the case with the cabinet. By simple arithmetic,there will be three or four Vice-Presidents from Upper Nile if SSOA nominates a vice-President also from Upper Nile,one from the Equatoria and the Greater Bhar El Gazhal will be left with no Vice-president to represent them. Do we have to deceive ourselves that the people of Greater Bahr el Ghazal will swallow their pride and lie low patiently while seeing themselves marginalized from the decision-making center, and more importantly where the affairs of State are run? South Sudanese need to be honest with themselves this time to scupper any more political turmoil which is always caused by power struggle and morbid hatred. It is wrong to conclude that since the President is from Bhar El Ghazal, he represents them and so the people of Bharel Ghazhal have already had their share of the national cake. That is a moral misconception and needs to be logically corrected. President Kiir Mayardit does not, in any way or capacity, represent the Bhar el Ghazalians. He is the President of the Republic of South Sudan; elected by all the 64 plus tribes in 2010 and who continue to support him up to date. The votes he won to make it again to the highest office, were cast by South Sudanese. Without having to beat around the bush, the public opinion and the point is that the positions of the two Vice-Presidents of the government need to be revisited. Call me a paid agent, sycophant, a hired opinion writer and name them, but I know that I wrote this article using national lenses with my belly badly shrunken. However, be prepared also to come and apologize to me because time and circumstances will prove me right. The Greater Bhar El Ghazal deserves to be represented in the Presidency in the upcoming Transitional Government of National Unity. It is a right that they will live to regret if they let go of it simply because there are individuals being favored at their expense. The people of Bahr El Ghazal should not be marginalized with an illusive fallacy that President Salva hails from there. A friend mockingly told me, "The people of Greater Bahr el Ghazal hold the horns of the cow and it is being milked by others". The simple mechanical understanding is that should any one of the positions of the two Vice Presidents allotted to the government as per the deal go to the people of Greater Bhar El Ghazal, one of the incumbents will most likely, and to the chagrin of the President who would be dictated by the situation, not make it to become one of the VPs. We are aware that the incumbent FVP proved to be one of the President 's most favorite and a man he found more submissive and comfortable to work with. To justify the public outcry as to why one of the positions be given to the people of Bharel Gazal, first and foremost, the President does not represent a tribe and neither does he have a constituency. This must be made very clear to some of these short-sighted and malicious politicians, who are addicted to power and wealth with the intention to cause anarchy and mayhem. The truth of the matter is, succinctly, General Salva Kiir Mayardit is a symbol of the sovereignty of the country. When one of the politicians, an erstwhile acolyte and now shown the exit door, stood up bodly and said that if one of the government Vice Presidents belongs to the Nuer as a birthright and not as a result of party policy and representation, it should not go to the Western Nuer again. The readers are the judges. As if unheard, it didn't take long to cost him his job. Though he might have a genuine point, his move was seen as a betrayal and so he paid for it simply because he once vowed under oath to be faithful to and support the incumbent FVP through thick and thin. When losing the position is the result of speaking the truth, so be it. Editor's Note: The opinions expressed in the article do not reflect the views of "The Philosophical Refugee" but that of the author.